Great for keyboards and portable digital pianos. The B 116 Compact piano boasts all characteristics of the premium uprights made in Germany – the best pianos worldwide, except for the C. Bechstein instruments of the Masterpiece class. The Bechstein B 120 Select model is made for demanding music lovers. A piano with a profound voice and a virtuosic action, developed in Germany by the C. Bechstein engineers and sound specialists. The C.Bechstein B212 grand piano is a grand piano for the professional connoisseur and ambitious player who wants the best of the best. The C.Bechstein L167 baby grand piano is a grand piano of the masterpiece series. It is an exquisitely perfect piano the best in quality. The genuine pleasure in playing. With its noble, elegant and dignified voice, this premium instrument is clearly rooted in the great Bechstein tradition. A wonderous sound. The C.Bechstein C234 concert grand piano is a sensational instrument of the masterpiece series. The C.Bechstein Classic 118 upright piano enthuses all supporters of clear classical forms its proportions are perfect its clear lines are timeless modern and elegant. The C. Bechstein Concert 8 concert upright piano is the non plus ultra – the best concert upright in the world. he masterpiece. The C.Bechstein D282 concert grand piano is a diamond in the rough. Top Quality from Germany. The C.Bechstein M/P 192 grand piano is a piano that exceeds all expectations. The CDP-135 is a quality contemporary digital piano with a scaled hammer action, simple pursuit of high-quality sound and a natural keyboard touch. AP-460 has piano lid and just as with a grand piano enjoying a completely spatial sound experience. PX-770 features a variety of 19 instrument Tones, with the ability to layer and split them as needed. The PX-780 features 250 Built-in tones with split and layer dual 20W speakers USB MIDI and 3 pedals. All the new elements in the new sound tones of the PX-860 are completely convincing when the lid of the PRIVIA is opened up. The Casio PX-160 Top is great for piano players that are space conscious and would also like the option to take their digital piano to different places. Drawbar Organ Function – 50 specially built-in drawbar organ tones. The powerful sound system of 2-channel 4 speakers improves the pleasure of playing. This digital grand piano is a player piano. It has an outer cabinet that makes it look and feel like a grand piano. The Eduard Seiler Artist 132 upright piano combine the use of selected German and international suppliers of the best piano manufacturing material available. The Eduard Seiler Elegance 126 upright piano has a sophisticated action which makes it easy to play. The Eduard Seiler Primus 116 is an entry to the upper class of European piano manufacturing. The Eduard Seiler Primus 122 upright piano satisfies the high standards of the ‘RAL Quality Seal for German Pianos’. It allows for precise playing and meets high-calibre German requirements. The Johannes Seiler 126 upright piano creates a sound which carries beautifully in all registers. The Johannes Seiler GS160 is a classic baby grand piano. Kawai CN27: the new standard in digital piano value and performance. An excellent introduction to Kawai’s portable piano line-up. The perfect first piano, with a high quality piano action, beautifully expressive concert grand piano sound, and modern features to suit any environment. Module Professional Arranger and Midi Sound module. 8 dynamic curves Aftertouch Portamento Operating system updatable via USB port 17 Volume slider controls (1 assignable) 10 display User Tab. 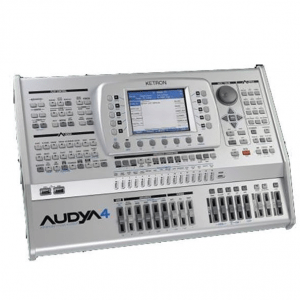 Keyboard 61 semi-weighed keys 8 dynamic curves Pitch & Modulation Joystick Aftertouch Portamento 17 Volume slider controls (1 assignable) 10 display User Tab. The GP1 Classic Grand represents the state of the art of portable digital pianos in terms of sound quality, weight and dimensions. ICEPower® is a switching power conversion technology used for audio reproduction. KLAVI Pro is a Professional Class Piano module designed for musicians who regard the ‘Piano’ as the fundamental sound for their studio projects and performances. The body of the case is constructed of multilayered wood allowing for a warmer sound and a lighter weight. SD1 Plus KEYBOARD 76 half-weighted keys.After touch. The SD1000 is an interesting addition to the field of sound modules in terms of compactness and musical performance. The KETRON SD2 Orchestral Wizard is a pocket size sound module designed for all PC and Midi applications. The SD3 is provided with special utilities to dialogue fluently with the Midjay the top-professional KETRON player . The KETRON SD4 is a pocket size sound module designed for all PC and MIDI applications. SD5 Keyboard 61 keys velocity sensitive. Suitable for every player.This intermediate professional upright is an excellent choice for both home and those who take high level piano examinations. Supreme Sound. This full length professional upright is an excellent choice for performance grade or high level piano student. This modest student piano is the best choice for young children who are just starting to learn. Classic and stylish. This compact and classic piano is an excellent choice for both home and studio. Ebony polish double bench with music book storage. Single layer of cushion on top. Standard piano bench height. Easy to assemble. Includes all you need to have your piano play itself. PNOmation Playback Engine Controller and Processor. Acoustic Electric Cutaway with Fishman ISYS Preamp & Built in guitar tuner. This Samick 61 Key Mini Digital Piano was specifically made with the child in mind. This children’s digital piano is great for a child’s first digital piano. The Seiler 186 Westminster is a 6 foot grand piano which offers a large fulfilling sound with proportionate dimensions. The Seiler Konzert 132 concert upright piano is equipped with Seiler’s patented Super Magnet Repetition.